Every year, the second Friday in February is International Winter Bike to Work Day. 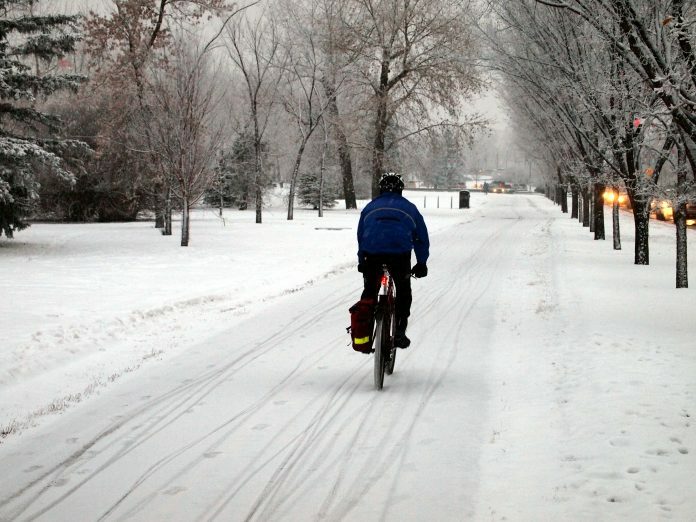 Cycling on snow and ice is, of course, a wee bit more treacherous than on dry roads, but it can be done—and many people do it. If you commute by bike only in the summer, today’s the perfect day to challenge yourself and find the best way to bike in winter, too (assuming the temperature is somewhere north of –40°). Of course, here in San Diego, commuting by bike is a year-round activity since there’s never any snow or ice…and for those of us who work at home the whole notion of commuting is moot anyway. But I’ll cheer on the rest of you!